D.R.A.M. 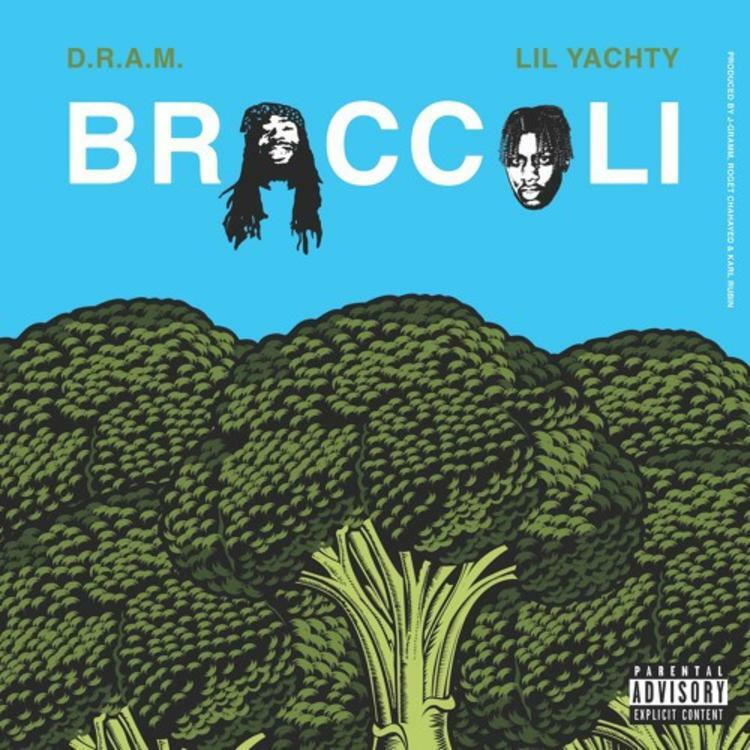 is joined by Lil Yachty on "Broccoli." Last week D.R.A.M. dropped off his own take on a Missy Elliott record, with "Don't Let D.R.A.M. Be A Hot Boy," and he's back seven days later with something new for the fans. This time around it's an original cut, featuring a melting pot of producers, J-Gramm, Rogét Chahayed & Karl Rubin. "Broccoli" is the perfect lead into 4/20 later this month, and really, imagine waking and baking to this song. You'd undoubtedly be one happy camper. Lil Yachty's syrupy vocals kick off the record, joined by a few bouncy keys and moments of booming bass. A flute melody is thrown into the mix for D.R.A.M. 's sing-song hook. We're definitely seeing the resistance to Lil Boat, but I'm 81% sure that you guys will come around. If you haven't yet, watch our recent On The Come Up episode with Yachty below. D.R.A.M. is also an OTCU alum.